It's going to be Cristiano Ronaldo's 5th Champions League final and just like any other final, this one will be special. 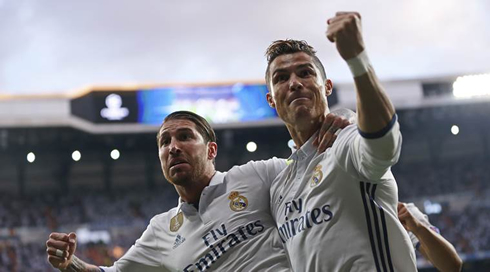 Against Juventus, on June 3, Real Madrid can wrap up a rare double in their illustrious history, as they can add a Champions League trophy to the La Liga title they already secured this past weekend. On Saturday, June 3rd, everyone's favourite number seven will grace the greatest stage in European football, as Real Madrid take on Juventus in the UEFA Champions League final at the National Stadium of Wales. 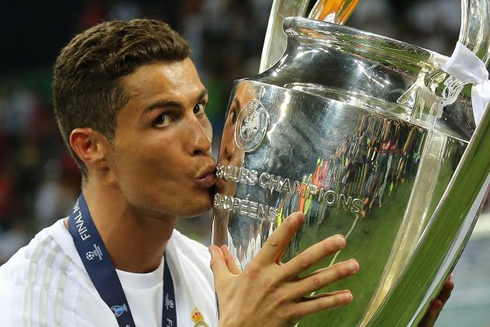 It will be Cristiano Ronaldo's fifth appearance in the final, and his third for Real Madrid. Ronaldo is likely to claim his fourth winners medal. Real Madrid are priced, on average, at 6/4 (2.50), while opponents Juventus are at slightly longer odds at 19/10 (2.9). Ronaldo was only 23 when he made his first final appearance for Manchester United in a rare all-English tie against Chelsea in Moscow. CR7 had enjoyed his best season yet as a Red Devil, finding the net 42 times in 49 appearances, and his season seemed to be complete when after twenty-six minutes in the final he peeled off Michael Essien in the box and headed home Wes Brown's cross. Matters swiftly took a downturn though, when Chelsea's Frank Lampard equalised just before half time. Then the waters grew even more murky for Ronaldo, when he fluffed his penalty in the shoot-out. Happily though, Edwin van der Sar saved a penalty from Nicolas Anelka and Cristiano got his hands on European football's most famous trophy for the first time. The 2013-14 season was Ronaldo's best in a Real Madrid shirt to date, and arguably the best of his footballing career so far, at the age at which most footballers enjoy their best period. It culminated in Madrid winning the top prize in European football for the 10th time, adding to their victories in 1956-60, 1966, 1998, 2000 and 2002. He finished the season as the Champions League top goalscorer with a record 17 goals, but his best personal moment came in the final minute of Madrid's 4-1 victory over local rivals Atlético. Ronaldo was fouled in the box by Gabi, and subsequently stepped up to send the penalty past Thibaut Courtois. In scoring, CR7 became the first player to score in the final for two different winning teams. Ronaldo overcame injury to play in the final, a personal triumph as the game was being held in Lisbon, the capital city of his home country. At the San Siro, Milan, it was the battle of Madrid again, as for the second time in three years Real and Atlético faced each other in the UEFA Champions League final. It was a first for Real manager Zinedine Zidance, who'd taken over the mantle of Real Madrid boss in January, succeeding to Rafael Benítez. The match was pretty dour stuff, with Sergio Ramos scoring for Real Madrid, but Yannick Carrasco equalising for Atlético with around ten minutes to go. There was no further scoring in extra time, so the game moved into penalties. It was 4-3 to Madrid when Atlético's ex-Real Madrid right-back Juanfran, failed to convert. Up stepped Ronaldo, to net Madrid's fifth and final penalty and by doing so, sealing their latest UEFA Champions League title.